Fiat Chrysler Automobiles NV is planning to build a new Jeep sport utility vehicle at an idled engine plant in Detroit, according to a person familiar with the matter. The factory will assemble a new three-row version of the Grand Cherokee SUV, said the person, who asked not to be identified ahead of an official announcement. The Detroit News reported earlier Thursday that the company could add as many as 400 jobs by reopening its Mack Avenue Engine II plant, which has been idle since 2012. The planned revival comes on the heels of General Motors Co.’s announcement last week that it will cut more than 14,000 jobs and close five North American factories next year as part of a sweeping realignment to prepare for a future of electric and self-driving vehicles. GM’s moves drew fierce blowback from Washington, including President Donald Trump. GM Chief Executive Officer Mary Barra has been meeting this week with lawmakers from states hit by the restructuring. Fiat Chrysler won plaudits from Trump in January 2017 when it announced a US$1 billion investment to build three new Jeeps and a Ram pickup now produced in Mexico. A year later, the Italian-American company said it would create 2,500 new jobs at its Warren, Michigan, plant north of Detroit to make heavy-duty Ram trucks. Chief Executive Officer Mike Manley has since said he’s reconsidering one aspect of this plan. Rather than stop heavy-duty Ram output in Saltillo, Mexico, Fiat Chrysler may keep producing them there, in addition to starting new assembly of them in Warren. Chrysler added the Mack Engine II plant next to an existing engine facility in 2000, when it began building a new V-6 powerplant. 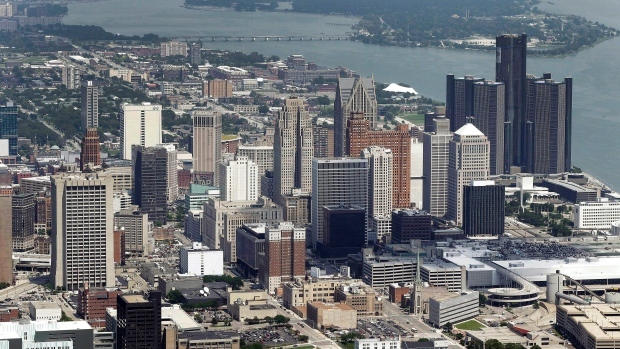 The Detroit News reported in July 2012 that 182 workers were employed there when it closed.